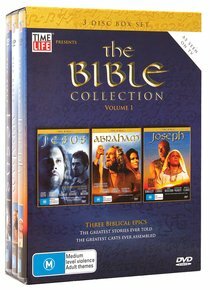 Here in one great value DVD set are three feature-length films that faithfully dramatise the lives of key figures from the Bible: Christ, Abraham, and Joseph. These fine productions star such acting greats as Ben Kingsley, Richard Harris, Gary Oldman, and Monica Bellucci. About "The Bible Collection (Time Life Bible Stories Dvd Series)"